Do You Need BLS for Healthcare Providers? CPR for School Programs and Employers. ALL School Programs and Employers. Basic Life Support (BLS) is the CPR course required for Students in Healthcare and Medical Related Programs. This class is American Heart Association certified, and satisfies all CPR requirements for nursing school, medical school, dental school, pharmacy school and all other healthcare related school programs in Memphis, TN. This course teaches Basic Life Support for infants, adults, and children. If you are a student or must become BLS certified for the first time then this class is for you. This class is also known as CPR class for healthcare providers. In this class you will learn how to perform the following in emergency situations for infants, adults, and children. -GET CARD DAY OF CLASS! CLICK BLS CLASS in Calendar Below. CPR Memphis is an American Heart Association training center that provides Basic Life Support classes for Healthcare Providers. 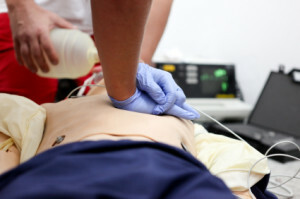 A Basic Life Support (BLS) class is required by healthcare and medical professionals. The class covers basic CPR and AED Training on infants, adults, and children. 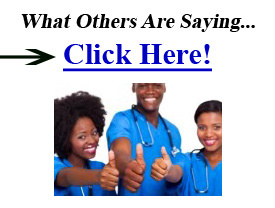 Nurses, doctors, dentists, pharmacists, radiologists, therapists, etc. all need this CPR certification. 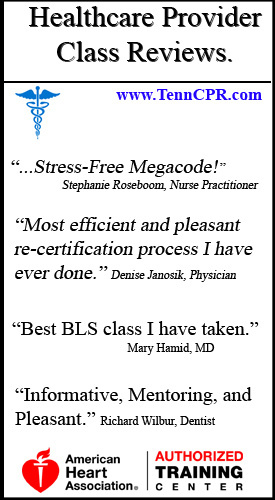 Our goal is to offer the best BLS class Memphis has to offer. We provide a stress-free and fun environment that allows optimal learning to occur. Our classes are low in number so each student gets plenty of instructor help. We will help you succeed every step of the way. We take great pride in teaching AHA CPR classes in Memphis, TN. We abide by very strict AHA guidelines because we understand the importance of teaching this information properly and thoroughly. 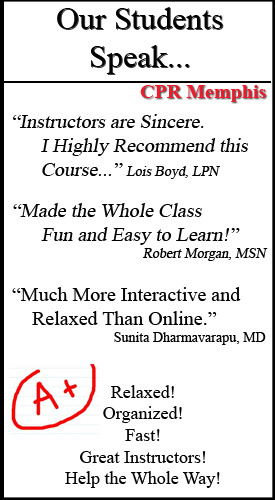 All of our instructors are AHA certified to teach. In addition, we provide further training to insure that each instructor understands our philosophy of a stress-free classroom. 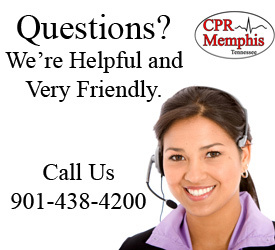 We guarantee that you have the best CPR class Memphis has to offer. 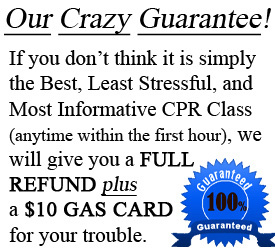 If during the class you feel that this class is not for you, then we will refund 100% of your money and give you a $10 gas card for your trouble. We want you to be satisfied! We also offer $20 for every person you refer to us.